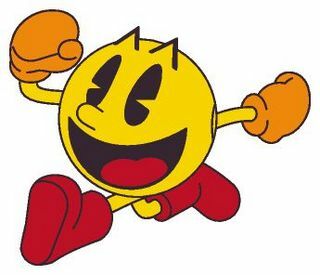 Back in the early '80s I got addicted to one of the greatest videogames of all time, Pac-Man. I spent countless quarters and a few dollars on pattern books (before games had "strategy guides") trying to get good at the game. I never reached the elusive 240th key, but I did get good enough to stretch a single quarter into about 30 minutes of playing time. I shudder to think of what percentage of my hard-earned allowance was eaten up (no pun intended) by that game. A few years later, I had my first experience in the world of personal computing. It wasn't long after that I convinced (read, begged) my parents to purchase our first home computer, the Commodore 64. And one of the most enjoyable aspects of using that device was the gaming. I purchased games on casette tape, cartridge, and floppy disk. I even typed in several programs from books and magazines, including COMPUTE! and COMPUTE! Gazette. The holy grail of gaming was still the local arcade, so it was always great when an arcade game got a port to a home computer, even if it meant it had been stripped down or reformatted in transition. Through the '90s my gaming moved from the Commodore Amiga to the ubiquitous PC, which still remains my platform of choice. Though I used to look down on home consoles with some disdain, my perspective changed when I got my first console, a PlayStation 2, followed the next year by an XBOX. Though the graphics still were not on par with the PC, the games were enjoyable, easier to share with friends, and had better controllers than the PC gamepads I had used. Since then, I have gotten every major console and handheld released by the "Big Three" (Nintendo, Sony, Microsoft) along with some other miscellaneous devices. Even to this day, I look at virtually every piece of consumer electronics that has a screen and wonder what type of games it might support. It can be an iPAQ or an iPhone, if it has the potential for playing games, I'm probably going to try to unlock it. With all this talk of games, you might think that I'm actually a formidable gamer. Not so. Even on the easiest settings, most modern games have me stymied by the third level, and now that I'm a family guy, I have less time than ever to really try to overcome hurdles in games. Besides, before I can conquer one game, a newer one has been released and I'm off to play it. I do try to play vicariously through my son; he has a gift for games that might actually allow me to see the ending sequence of a game or two that I wouldn't have otherwise. As I blog about games and un/related other diversions, I hope that I'll have the stamina and focus to keep at this. And I hope that you'll keep coming back and giving me feedback on what I'm writing here. Oh, and I'm also looking for a job. If you know of anything, don't hesitate to send it my way. And no, it doesn't have to be gaming-related.